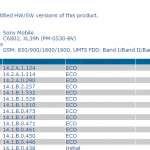 Sony Xperia Z1 users are furious now for so many firmware related bug issues. Recently we spotted issues like yellow hue tint, noise appearing in images captured from Z1’s cam, SOD, random reboot and pinch to zoom issue. Mainly are firmware related. 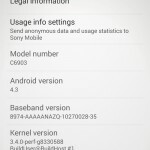 Presently Xperia Z1 is on 14.1.G.1.534 firmware. 14.1.G.1.526 and 14.1.G.1.531 firmware are the previous builds. A few days back we saw an internal leak of about phone screenshot from 14.1.G.2.213 firmware but just now we are informed that there is a strong chances of 14.1.G.2.257 firmware to hit Sony Xperia Z1 soon. 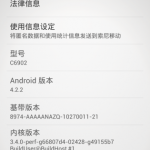 14.1.G.2.257 firmware keeps it on Android 4.2.2 and is still in testing but is soon expected to roll out. Though we can’t say it will 100% roll out but as it has been spotted on running on one of our tipster handset ( Xperia Z1 ) who once confirmed that 10.3.1.A.2.67 firmware for Xperia Z1 is about to come and 20 days later it rolled out officially. 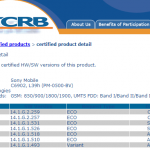 So we take the info of Xperia Z1 14.1.G.2.257 firmware update as credible and is likely to be rolling out soon by the end of this week or probably by next week. 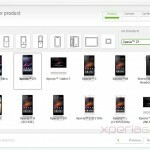 Tipster who leaked the alleged screenshot of 14.1.G.2.213 firmware stated that it will bring performance and power optimization tweaks to Xperia Z1, same is expected with this higher 14.1.G.2.257 firmware build. 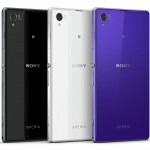 No proper ETA is there on 14.1.G.2.257 firmware update for Xperia Z1, but it is expected to come out soon. If you got this 14.1.G.2.257 firmware update on your Xperia Z1, let us know. 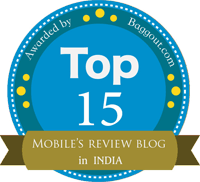 What issues you are facing on 14.1.G.1.534 firmware for Xperia Z1, let us know in detail. Drop your comments below. 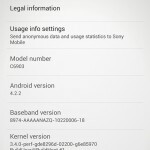 Xperia Z1 14.1.G.2.257 firmware major update rolled out – Improves Camera, Display and Power Consumption. 1. Phone stuck on Sony logo during boot. This occurs when user switch off auto brightness. 2. Overheating – without any application turned on, phone is hot in pocket. 3. Auto locking screen is not working properly. Its black but still got backlight. 4. Xperia Z1 upon uncharging to 30% battery is turning off. If u want turn it on, you have to charge it to 100% battery. 6. Wi-Fi connection issue. If u want use Wi-Fi u should turn it on, then reset phone. If you disconnect, you can use it again till reset phone. 8. When user turn off auto brightness, screen will randomly change brightness. Try turn on optimise backlight from your display settings. It solves most of your issues. I had the same problem as you. I cannot use WiFi – if I use WiFi battery drains in 15 hours. WiFi off I get 72 hours of battery life, it’s ridiculous. Improves Camera, Display Calibration, Power Consumption, Automatic Reboot issue, Wi-Fi range improves, Optimized Backlight option is ON everytime. I’ve just upgraded to the new firmware (257). Seems to be slightly smoother than the previous update, especially in the terms of camera handling, seems it’s been enhanced. Didn’t really notice any leaps in the screen quality, but maybe that’s just me. Battery, I haven’t had the chance to see if there’s any improvements as I was constantly checking out the camera and browsing, so obviously it drained faster, though it’s satisfyingly much, much better than the predecessor’s, being the Z. Just recieve my z1. And 3 days it is automatically shuttig off my unit is on standby mode. I dont have any idea but it keeps me feel terrible. Is there any fix with this. I have the same problem, it reboot by itself like 10 times a day, please if someone has the solution.